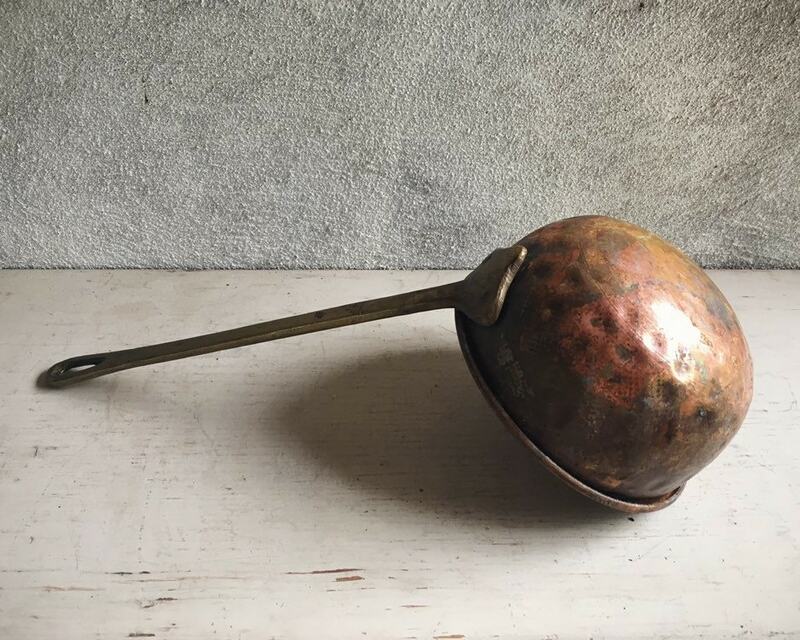 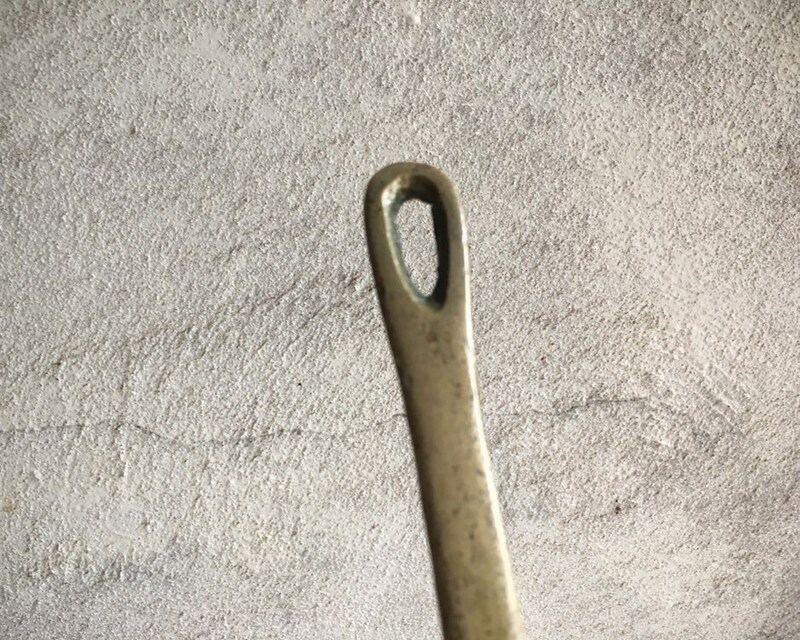 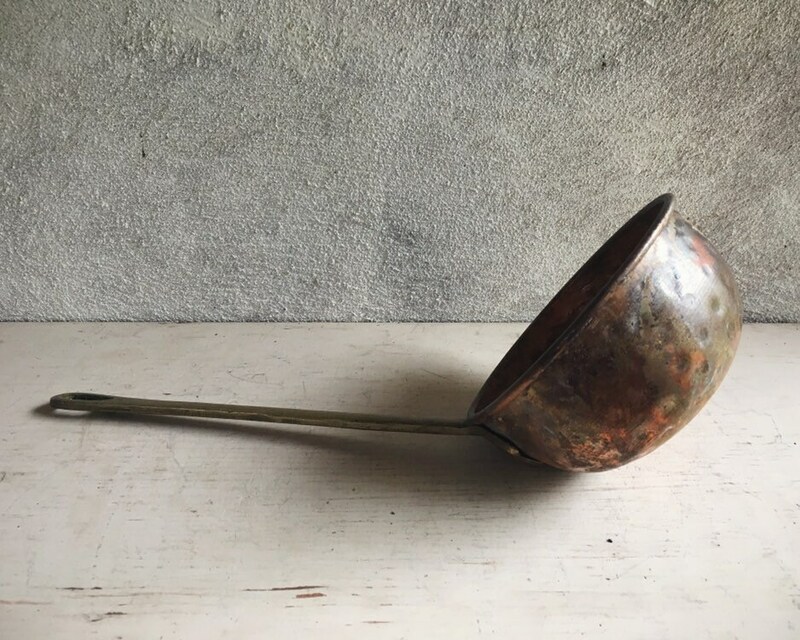 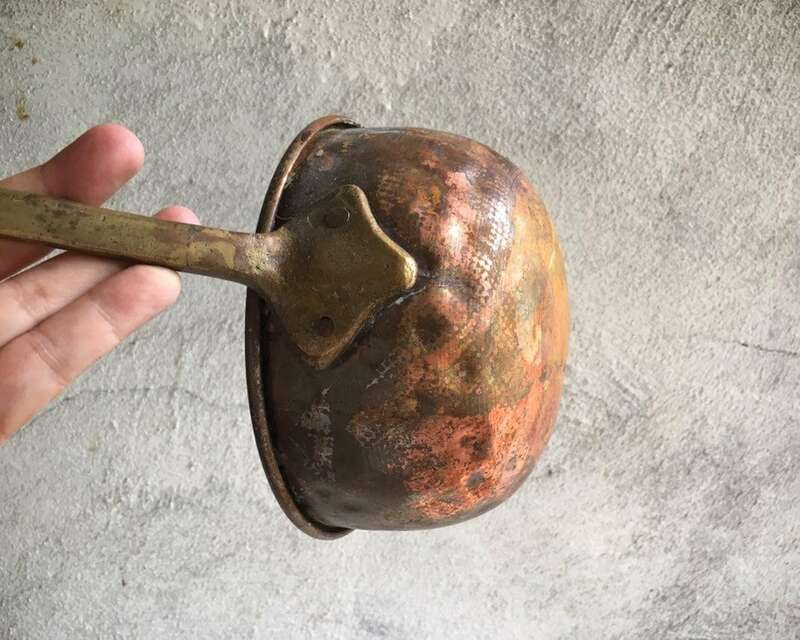 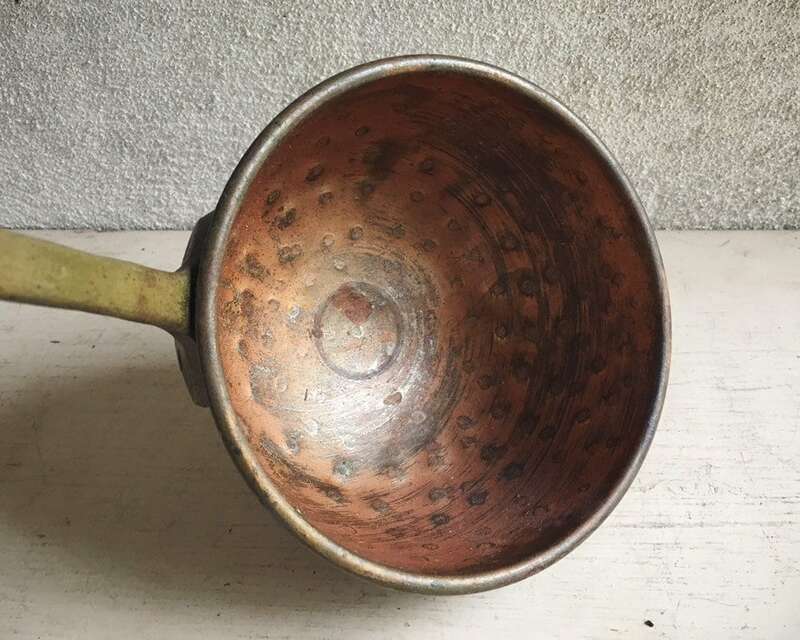 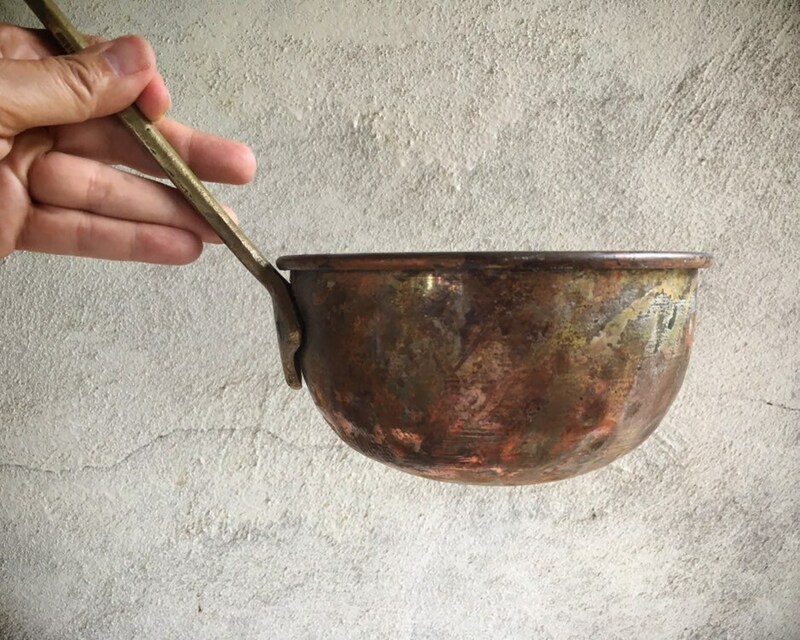 This vintage ladle is made of hammered copper with a brass handle, and it has a beautiful patina. 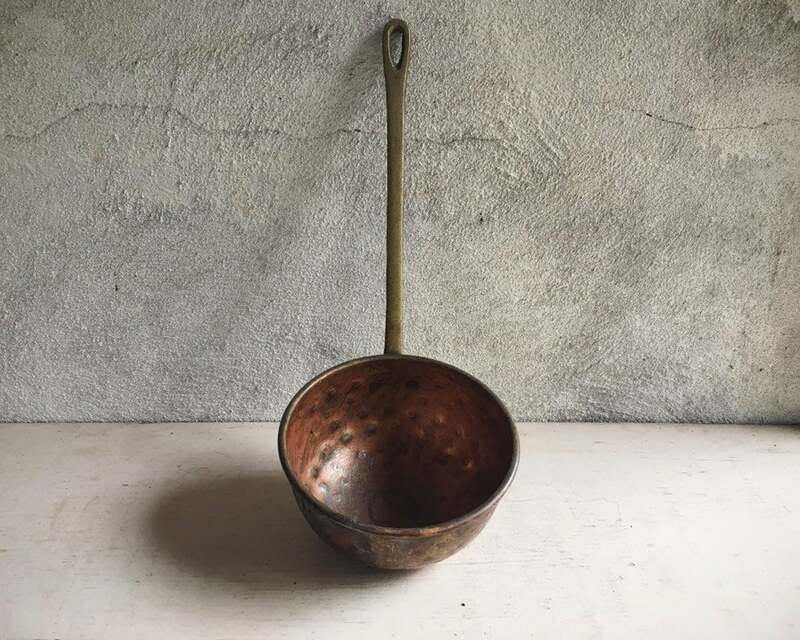 It seems so perfect for the autumn months, reminiscent of a crackling fire in the fireplace, and primitive kitchen utensils hanging in the cozy kitchen. 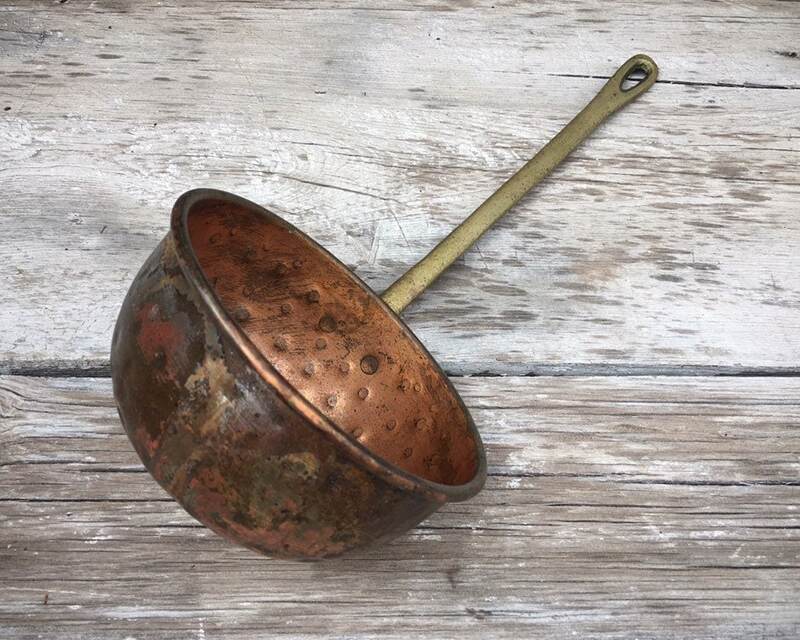 The ladle is a total of 12-1/2" tall measures about 10" tall including from handle tip to spoon bottom, and the spoon or dipper itself is 6" in diameter. 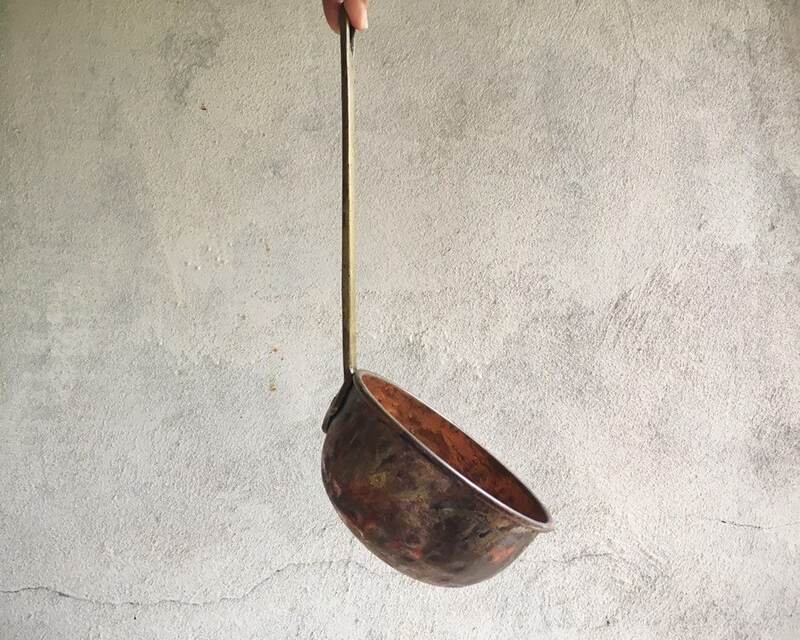 Weighs about one pound unpacked. 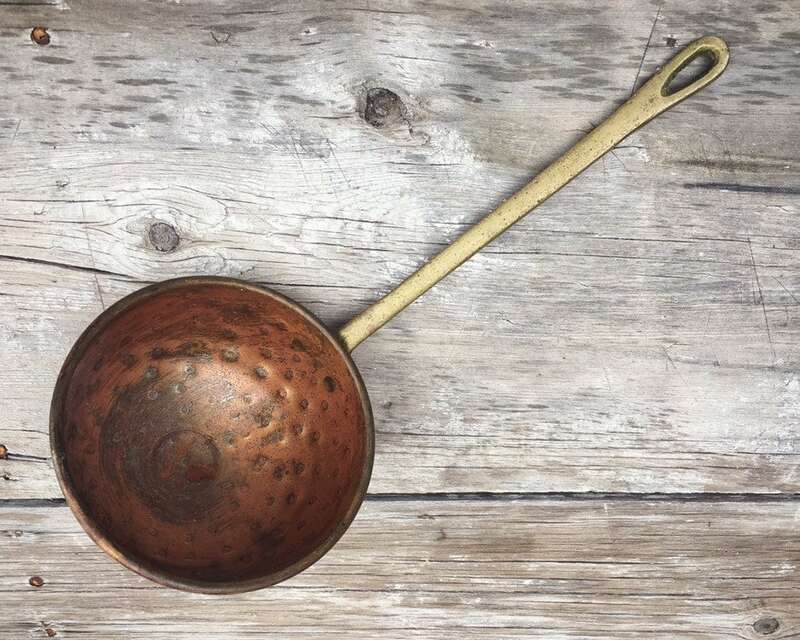 Rustic beauty for your patio, garden, or home.